Be prepared for a lovely time while she's in the Stella McCartney Kids™ Sleeveless Pineapple Embroidered Dress. Contrast color trim along the neckline. 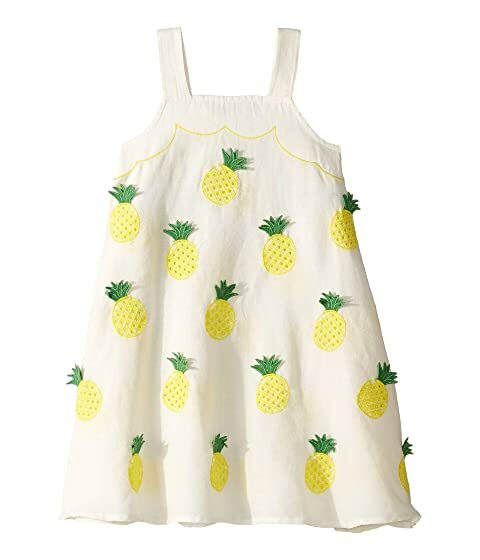 We can't currently find any similar items for the Sleeveless Pineapple Embroidered Dress (Toddler/Little Kids/Big Kids) by Stella McCartney Kids. Sorry!